A year-round island resident, Herb paints from his 30' lobsterboat in the warmer months, and from his studio during the winter. Between painting and family and running his summer business, he occasionally gets to sail his own gaff-rigged knockabout. 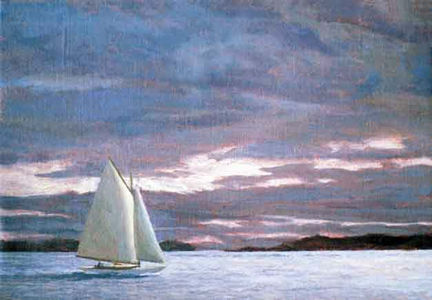 Visit his Calderwood Hall Gallery on North Haven, or see his work at Archipelago, Rockland, Maine.